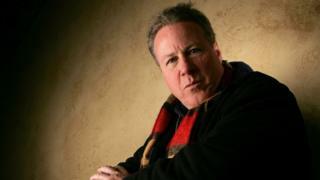 The actor John Heard, best known for his role in the Home Alone films, has died at the age of 71. Heard was found dead on Friday in his hotel room in Palo Alto, California, according to celebrity news website TMZ. The Santa Clara medical examiner's office confirmed the death. The cause is unknown. Heard had reportedly been staying at the hotel after "minor back surgery" this week. "Our officers responded with the Fire Department to a hotel in our city on a report of a person in need of medical aid," the Palo Alto police department said. "The person was determined to be deceased. While still under investigation, the death is not considered suspicious at this time." Arguably Heard's most memorable role was as Peter McCallister, the father of Macaulay Culkin's character in the Home Alone films, in the 1990s. But he first started acting in the 1970s, appearing on the stage, on television and in film. He went on to play leading roles in films including Cutter's Way, C.H.U.D and Gladiator, opposite Cuba Gooding, Jr. In 1999 he was nominated for an Emmy Award for his role as Vin Makazian - a corrupt New Jersey police detective - in television series The Sopranos. Marlon Wayans, who worked with Heard on the 2004 comedy White Chicks, wrote on Instagram: "He was a great guy. Shared a lot of laughs. Sad to see such a good spirit and actor taken."